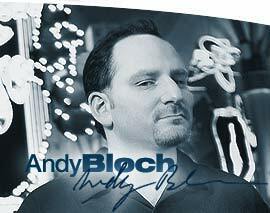 Andy Bloch grew up around cards, and throughout his youth he was forever playing cards with his family or friends. Born in 1969 in New Haven, Connecticut, Andy graduated from High School and went on to MIT, graduating in 1992 with two electrical engineering degrees. It was at this time that Andy started to play poker a bit more, and he would travel to the newly opened Foxwoods casino. He made the 2 hour trip about once a month to play in the $35 weekly tournament. By the end of this year he had won one of the prestigious tournaments at Foxwoods which was a $100 entry World Poker final tournament. During this time Andy was working as an engineer but he never really got interested in his job and moved from job to job after he had a number of altercations with his bosses. Eventually Andy decided that he would concentrate on playing Blackjack and Poker full time and earn an income from it. In fact during this time he was a member of the famous MIT blackjack team which used card counting techniques to beat the casinos out of millions of dollars and was the basis for the Hollywood movie “21” staring Kevin Spacey. In 1996 Andy decided to take a different career route and applied to Law school and applied to the big three in Harvard, Yale and Stanford. He was rejected by Yale and Stanford but made it into Harvard. During the next three years he played less poker whilst studying law at Harvard but he still managed to play in the World Series of Poker by missing the final few weeks of his course in 1997 and 1998. He missed the WSOP in 1999, but he had to other wise he wouldn’t of graduated! He did indeed pass the law bar exams in 1999 even though he had already decided to delay the start of his law career for a while and he returned to poker. That career never really returned on track as Andy continued to enjoy more and more success with poker and in 2001 he made two final tables at the WSOP, won a tournament back at his home casino of Foxwoods and made two World Poker Tour final tables in series one of the massively popular WPT. Another great year for Andy was 2005 where he won the WSOP Circuit tournament at the Rio in Las Vegas and also won the Ultimate Poker Challenge $10,000 event. On top of these wins he secured high finishes in the Mirage Poker Showdown Omaha event and the Ultimate Poker Challenge $2,500 event. At the 2006 WSOP Andy cashed five times and made perhaps his highest profile finish to date, when he came second to Chip Reese in the first ever $50,000 buyin H.O.R.S.E event. He picked up over $1million for this remarkable finish and broke all poker records with a 12 hours heads up battle for the title. Andy’s career tournament earnings stand at $5.4 million and there is plenty more to come from this talented and intelligent player. For many years Andy was dubbed as “the greatest player never to win a WSOP bracelet” but he finally put this to bed at the 2012 World Series of Poker where he won the $1,500 seven-card stud event. Andy Bloch became a full member of the former Team Full Tilt in 2006 and was an active member of the team as well as a shareholder in the company. Although Andy is no longer an owner or member of Team Full Tilt he still plays at Full Tilt Poker and takes great pride in answering fans questions and giving them advice as he attributes a lot of his success to the early advice he received over forums and old newsgroups which helped him to improve and develop his poker game. 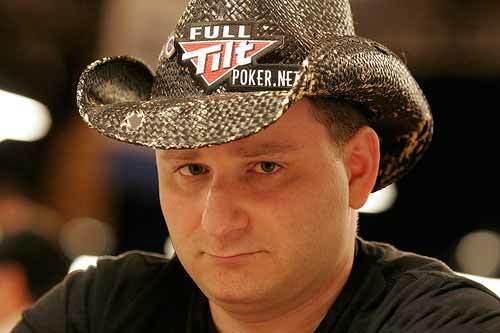 If you see this avatar on Full Tilt Poker then you are playing with Andy Bloch! You will find Andy playing regularly at the tables on Full Tilt Poker so if you have a question for him then just seek him out and he’ll be happy to answer it while he plays. Want to Chat and Play Poker with Andy Bloch?